The Letterkenny athlete clocks a half marathon PB, Gary O’Hanlon retains his Irish 3/4 marathon title and QUB AC’s women set a course record to win consecutive NI & Ulster Road Relay crowns. 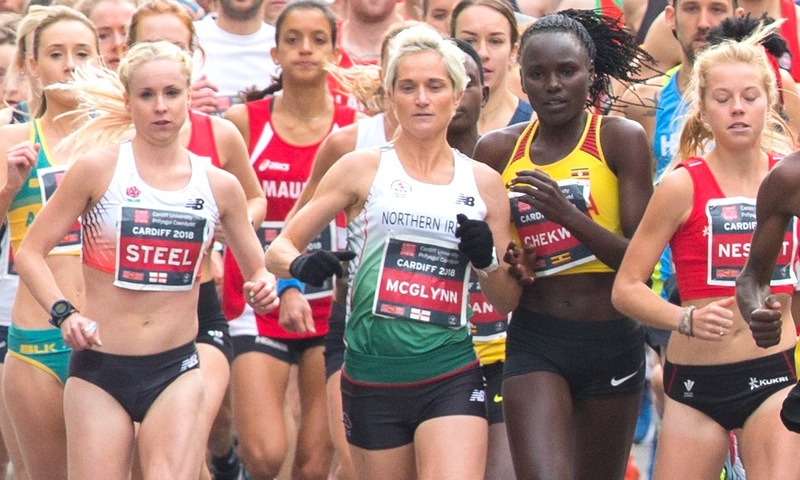 Ann-Marie McGlynn of Letterkenny AC finished a fantastic ninth for Northern Ireland in the women’s race at the Commonwealth Half Marathon Championships incorporated into the annual Cardiff Half Marathon on Sunday (October 7). McGlynn’s personal best time of 73:47 saw her finish just four minutes behind race winner Juliet Chekwel of Uganda who crossed the line in 69:45. One second behind her was England’s Gemma Steel. Best of the Northern Ireland men was Paul Pollock of Annadale Striders who finished 15th in 64:05. He was followed by Conor Bradley from City of Derry 27th in 67:31, Newcastle’s Eoghan Totten finished 34th in 67:44, and Andrew Annett of North Belfast Harriers 41st in 69:29. Race winner was Jack Rayner of Australia in 61:01. Also running was Declan Reed of City of Derry Spartans who finished first M45 in 67:33. A full report can be found here. Defending women’s champions, QUB AC, set a new course record of 33:19 to win the senior women’s race at the NI & Ulster Road Relay Championships held in Victoria Park, Belfast on Saturday (October 6). Bringing the team home was Emma Mitchell after strong legs from Rebecca Henderson and Sinead Sweeney. With Ben Branagh their lead man, St Malachy’s AC dominated the men’s four-leg race from the start with Adam Ferris setting off on the anchor leg with a clear lead. 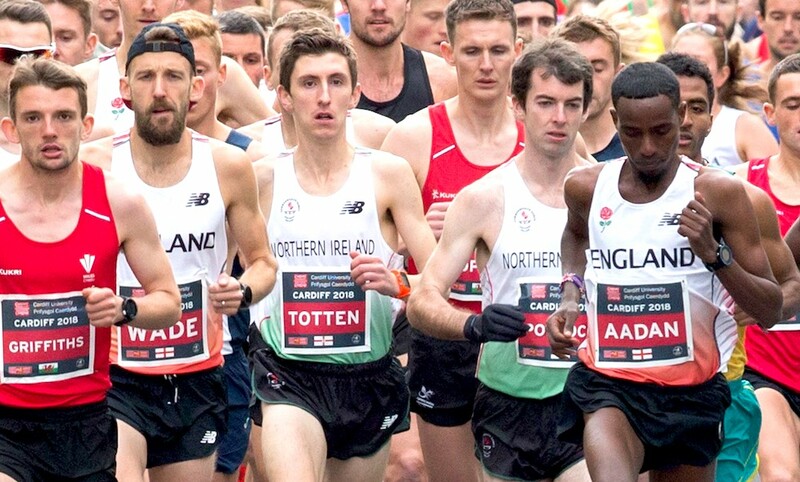 In the battle for second place, a Derry Track Club team, which included steeplechaser Adam Kirk Smith and Gideon Kipsang, stretched away from North Belfast Harriers on the final two legs. A dramatic master men’s race saw Willowfield Harriers leading from North Down AC after the opening leg. 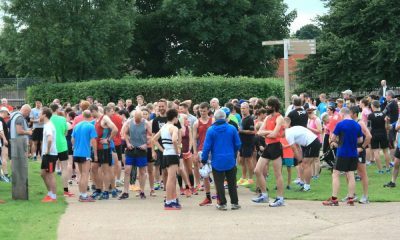 On the second leg, Acorns AC took over in front thanks to a strong run from Glenn Donnelly, with Vincent McAllister setting off on the final leg. He was chased down and passed by Stuart Donald of North Down, with just one second in it at the finish. Acorns AC and Willowfield Harriers finished second and third. Winning the women’s master’s title was Beechmount Harriers, with Derry Track Club second and Victories Park and Connswater AC third. Running the fastest leg was Kelly Neely who was anchoring the City of Lisburn team and finished in 11:27. 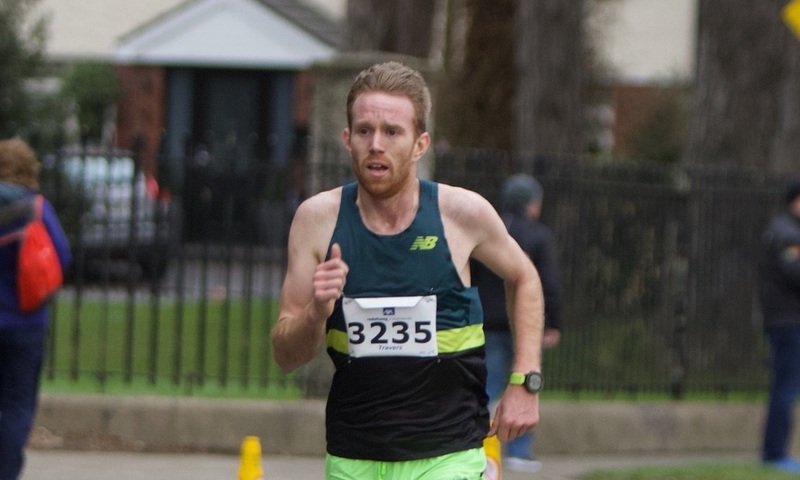 Gary O’Hanlon of Clonliffe Harriers continued his preparations for the Dublin Marathon in three weeks time with victory at the annual Irish 3/4 Marathon held in Longwood, Co Meath on Sunday (October 7). 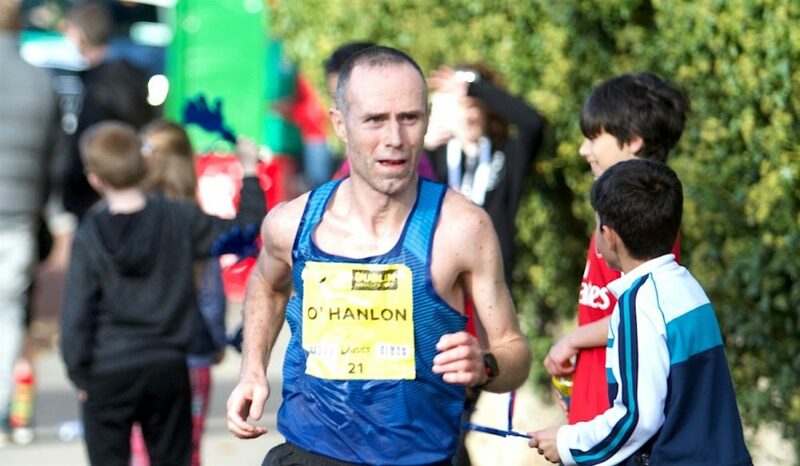 Last year, O’Hanlon won the national marathon title in Dublin after his victory in the 3/4 Marathon. 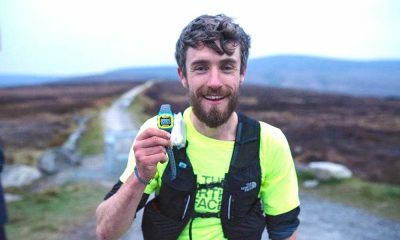 In bitterly cold and gusting conditions, O’Hanlon and Eoin Callaghan of Star of the Sea AC ran together until the final two or so miles, when O’Hanlon pulled away for a win in 1:47:19 – almost two minutes faster than last year. Callaghan was second in 1:47.46, while a distant third was Alexander Wallace in 1:54.50. First woman was Caroline Donnellan of Edenderry AC in 2:14.23. Jan Corcoran of Le Cheile AC was second in 2:19.44. At the Chicago Marathon, Patrick Monahan of Le Cheile AC finished 11th in 1:36.35. Monahan goes for a fifth title in the wheelchair race at the Dublin Marathon in three weeks time. At the Tarmonbarry Half Marathon and associated races, Patrick Sharkey of Longford AC won the 3/4 Marathon in 1:56.05. First woman was Adrianna Mulligan, also Longford AC, in 2:11.32. Winners of the half marathon were John Whelan in 73:16 and Therese O’Connor in 93:52. Also held was an 8km where the winners were Ross Gannon in 29:31 and Jane Harvey in 33.24. 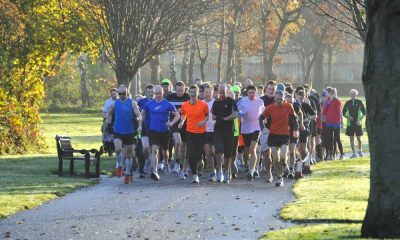 Clonliffe’s Sean O’ Leary won the men’s race at the Dublin Novice Cross-Country, held in the Phoenix Park. 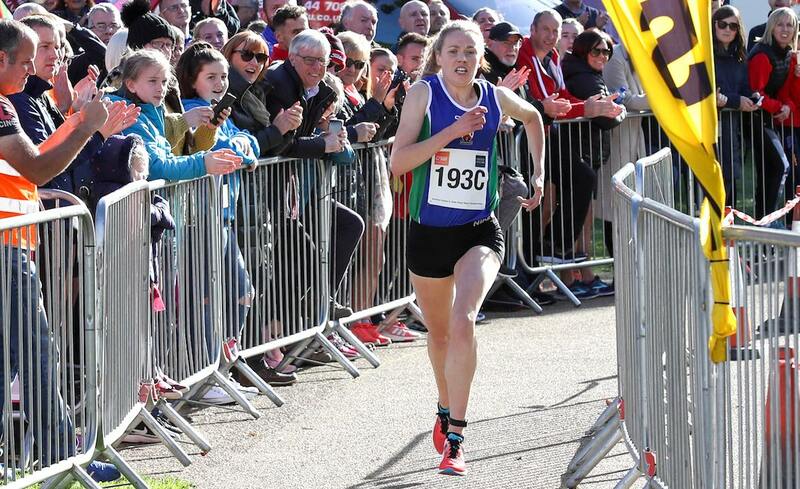 Taking the women’s title was Carla Sweeney from Rathfarnham WSAF AC. In the team competition, Raheny Shamrock beat Rathfarnham WSAF on countback for the women’s title. 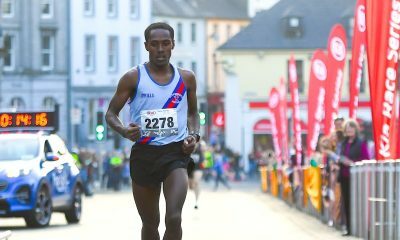 John Travers of Donore Harriers continued his current winning streak with victory in the Galway Bay 10km, one of a trio of distances held in Galway on Saturday (October 6) which attracted almost 3,000 entries. Travers’ time of 20:27 put him over two minutes clear of second placed Paddy O’Toole who finished in 32.31. Fourth overall and first woman was Siobhan O’Doherty of Borrisokane AC in 35:50. Linda Grogan of Dundrum AC was second in 39:33. Winning the Galway Bay Half Marathon in 69:05 was Mark Kirwan of Raheny Shamrock AC, who will run in the Dublin Marathon at the end of the month. Brendan McDonnell of Galway City Harriers was second in 70:44, with Elaine Walsh, also GCH, first woman in 90:08. Kevin Mooney of Craughwell AC and Deirdre Lynn of the Marathon Club of Ireland led home 303 finishers in the full marathon. Their times were 2:40.29 and 3:15.13. 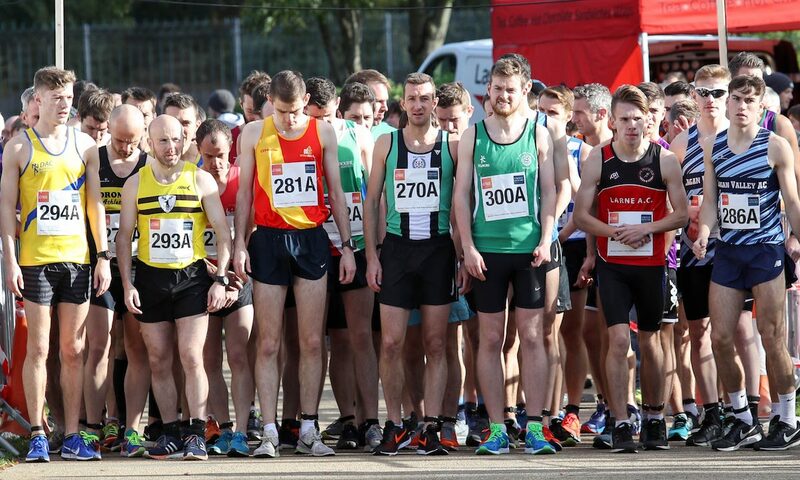 Rathfarnham WSAF’s Sean Hehir was a comfortable winner at the annual Simon 5-mile road race in Dublin Phoenix Park on Saturday (October 6). Hehir finished in a time of 25:37. First woman was Una Britton of Kilcoole AC who was seventh overall in 28:58. Race regular Annette Kealy of Raheny Shamrock was second woman and first W50 in 30.14, with her Raheny clubmate Zoe Quinn third in 31.02.